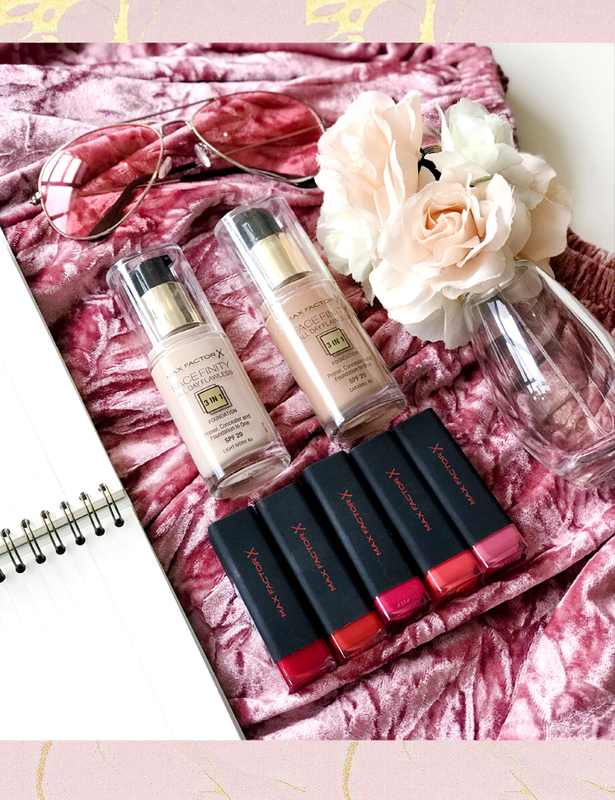 MAX FACTOR FACEFINITY ALL DAY FLAWWLESS 3 IN 1 FOUNDATION & COLOUR ELIXIR VELVET MATTE LIPSTICKS - . I've been working on this post for days and I am so excited to be finally sharing it with you girls! 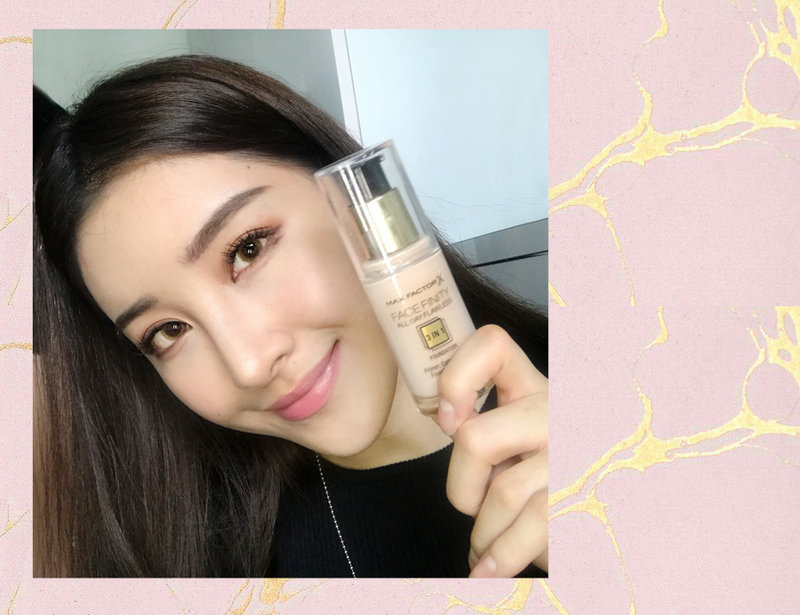 Max Factor will be launching their best seller product, none other than their hero foundation range – Facefinity All Day Flawless 3-in-1 Foundation in Singapore. 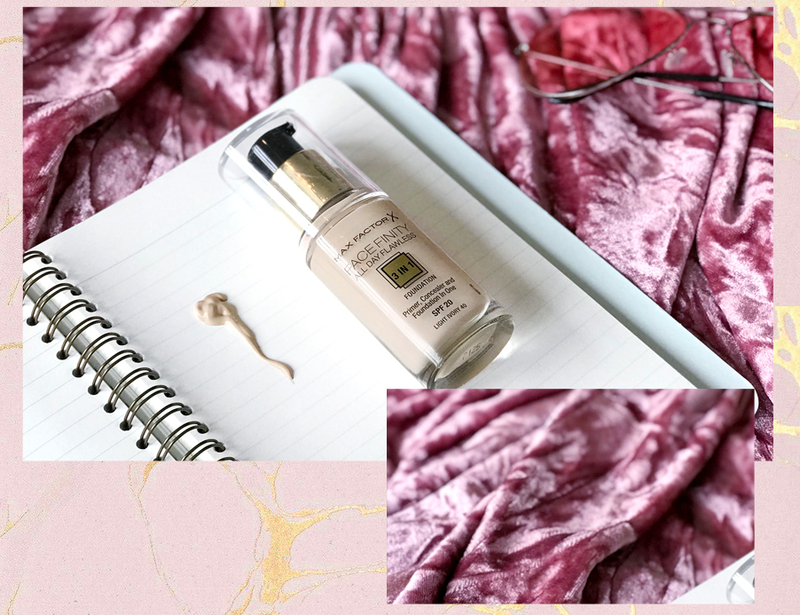 If you are looking for something that stays on all day and makes your skin look effortlessly glamourous, this is the foundation for you. First of all, the coverage is medium to full yet not heavy on the skin. The shade I received was Light Ivory 40. 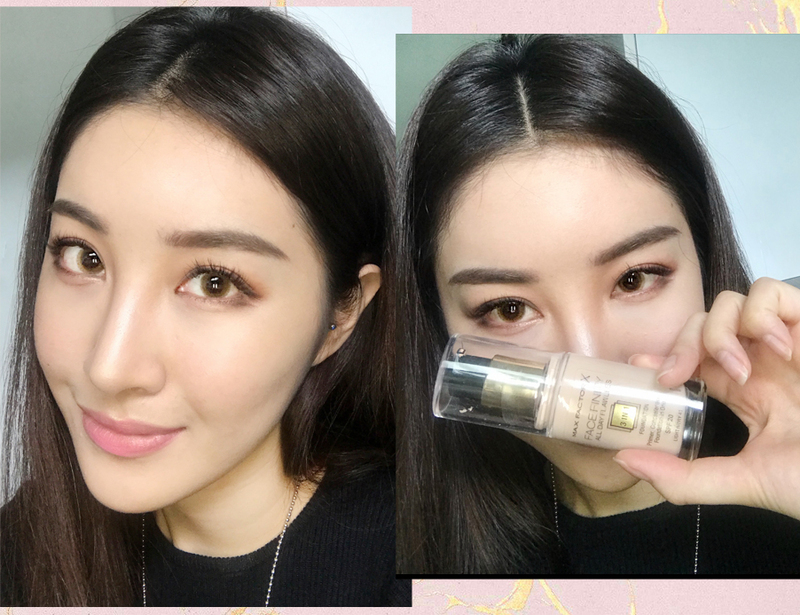 Max Factor’s Facefinity All Day Flawless 3-in-1 foundation holds like a primer, and corrects like a concealer with the long lasting finish of a liquid foundation with SPF 20. It feels super comfortable and lightweight. 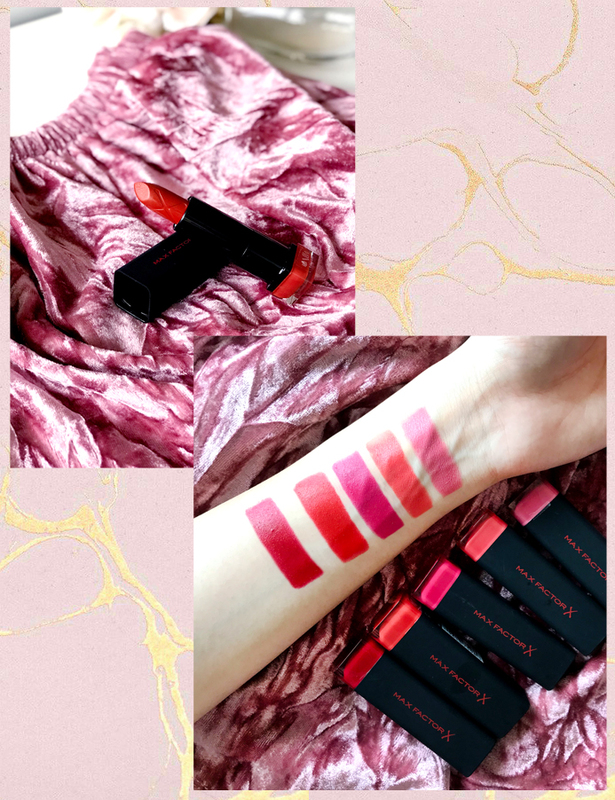 The end result is a velvety matte finish, absolutely perfect for the hot and humid weather when you're out and about in Singapore. I feel that it is most suitable for normal-combination skin, which is generally the most common skin type. 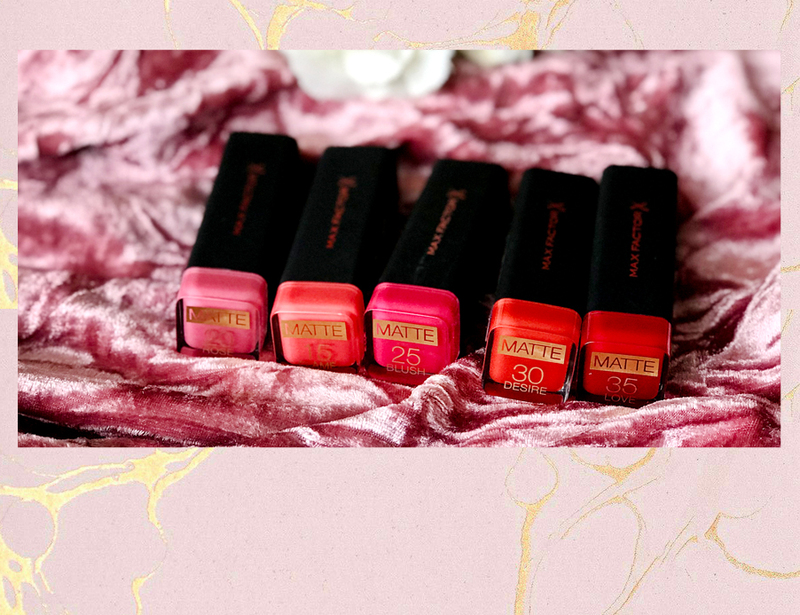 I can't resist Max Factor’s Color Elixir Velvet Matte Lipsticks in these very wearable shades. They are 15 Flame, 20 Rose, 25 Blush, 30 Desire, and 35 Love. I love the formula as it gives a velvety matte finish and is extremely pigmented. It has a sweet currant scent and is ultra hydrating so it prevents my lips from getting dry. The colour is rich and it stays all day! Impressive quality for its price. I'm seriously enjoying the results! Let me know which are your favourite shades (: My favourite shade is 20 Rose! 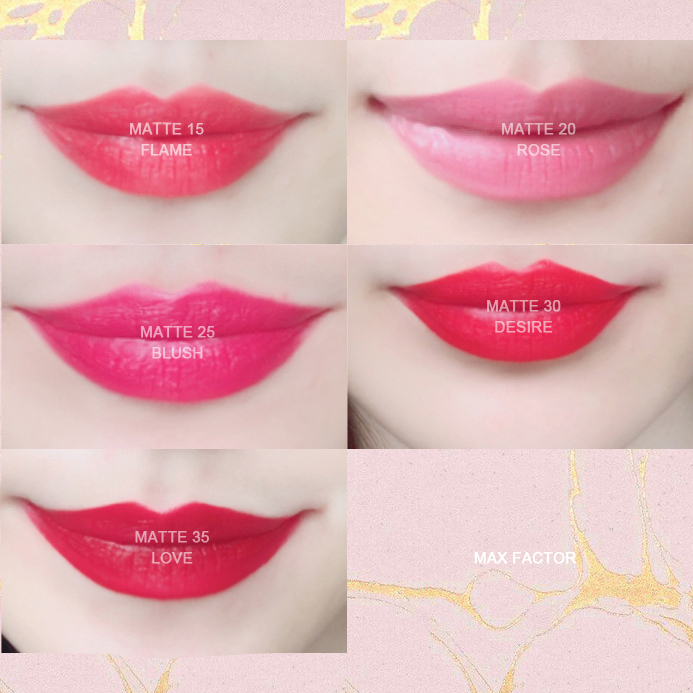 You can find the Max Factor Facefinity Foundation and their Colour Elixir Velvet Matte Lipsticks at selected Watson stores across Singapore such as Ngee Ann City, Bugis Junction, JEM, ION, Parkway Parade, NEX and Tiong Bahru Plaza. They are super affordable too! The Facefinity All Day Flawless 3-in-1 foundation costs $29.90 while the Colour Elixir Velvet Matte Lipsticks costs $20.90 per lipstick. They are so easily accessible all around Singapore, I can’t wait to try out more of their products!